Like most case manufacturers, Cooler Master is constantly looking at the enthusiast’s to see what the next big trend in computer cases will be. Last year, Cooler Master came out with their MasterCase line, designed at making a modular case. Purchase one model, and then purchase add-on parts to modify and customize the case. 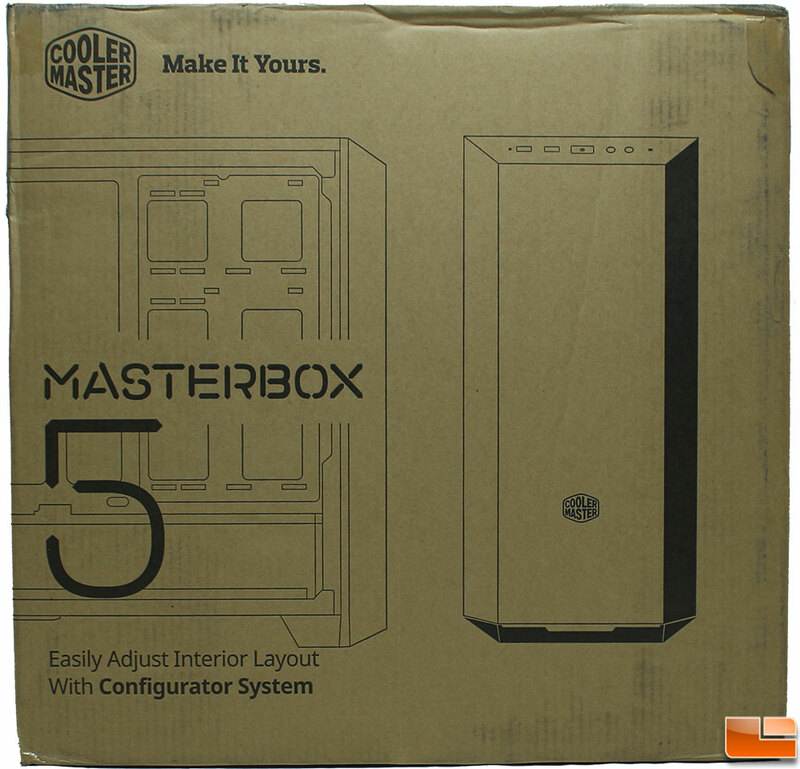 With the success of that line, they are now expanding their maker series with the MasterBox, where “You Decide the Inside”. Where the MasterCase allowed for a high degree of customization both inside and out, the MasterBox looks to simplify the customization of the interior. 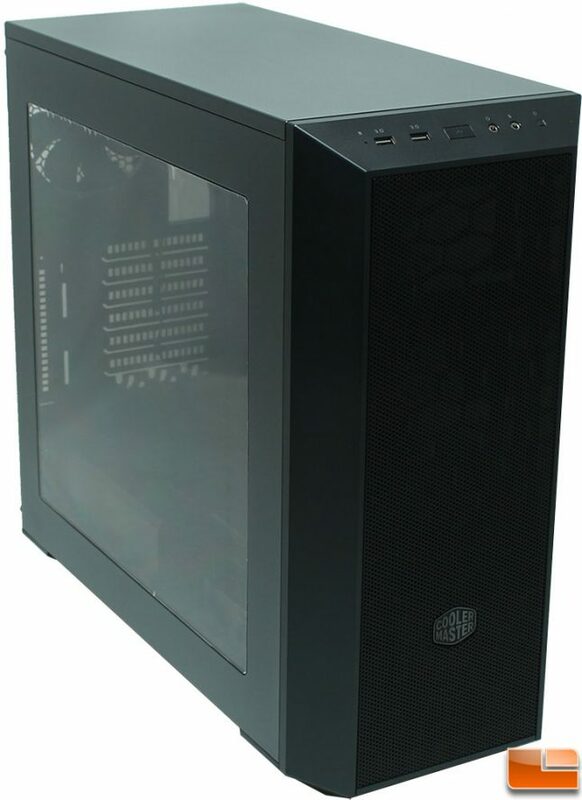 Cooler Master sent us their MasterBox 5, model MCX-B5S1-KKNN-01. This particular model is solid black, but is also available in white both models can be found online for $69.99 with free shipping. Internally, it room for up to ATX motherboards, 2x 3.5″ hard drive trays that also support 2.5″ SSD’s, and another cage for 2x 2.5″ SSD’s. Cooling options are up to 280mm radiator in the front, or 120mm in the rear exhuast. 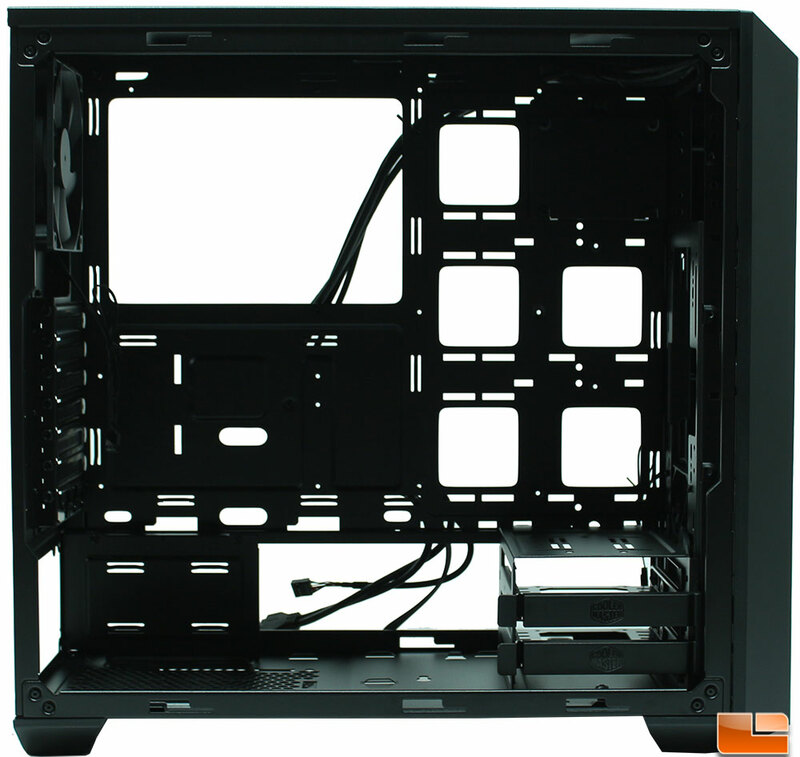 The open design of the interior allows for you to decide how to place the components while leaving enough space for the largest CPU air coolers and GPU’s. If these options, do not meet your initial needs, Cooler Master has other models of the MasterBox ready to go with other exterior features such as 120/140mm top exhaust, and 5.25″ drive support. I would expect that the other models will be available for a small premium over the model we have on the test bench. Now that we know what Cooler Master tells us about the MasterBox 5, let’s take a quick look at how they package it and what is included inside the box before taking a closer look at the case itself. Keeping with modern purchasing standards, Cooler Master packages the MasterBox 5 in a plain cardboard box that presents the user with the information necessary to know what is inside the box, and what the case is capable of. This is pretty standard packaging since for the most part, users will be purchasing the MasterBox 5 online rather than a retail store. Inside the box, Cooler Master packages the case in a plastic bag to help protect it from moisture, and nestles it between two large Styrofoam blocks for protection during shipping. Of course every case has to come with a selection of accessories to allow the installation of the various components. Cooler Master has included a small pack of accessories that includes a number of cable ties, standoffs, screws, 4-pin Molex to fan, and four fan push pins. Everything necessary to build a system within the MasterBox 5. 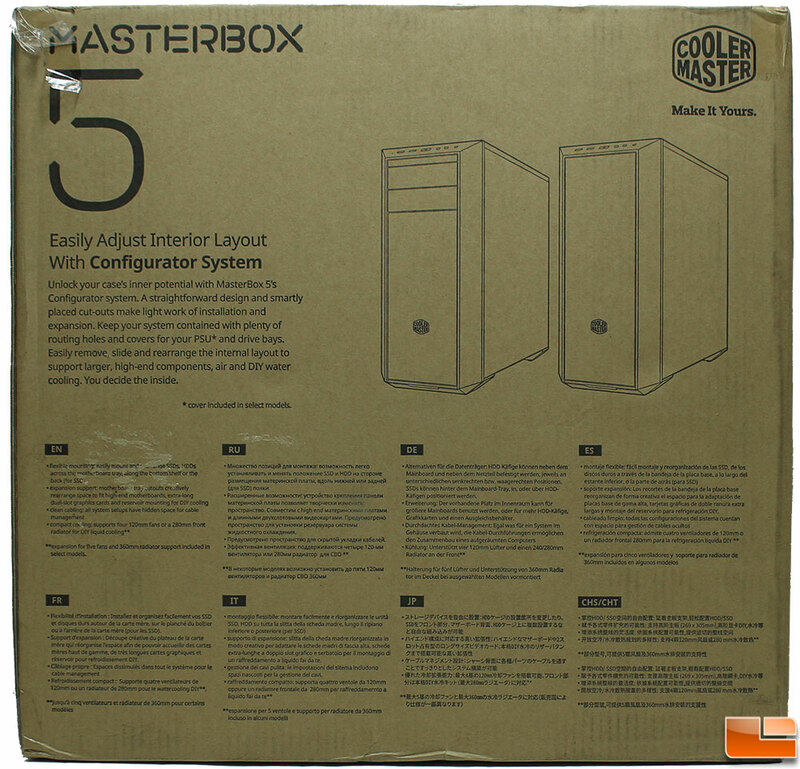 Let’s move on to taking a closer look at the exterior of the MasterBox 5.